We provide full vehicle service and maintenance! Are you looking for a full-service experience when it comes to your car? Do you want an experienced team that will handle all your car needs? You can expect to get high-quality service and your vehicle will leave in a better state compared to when it came in. Servicing your car is not a legal requirement but there are a couple of reasons why you should consider getting services regularly. Safety : Regular servicing will in identifying problems that could become serious if left unchecked. Most vehicles will come with servicing instructions and you will be required to service it after a specified period for Optimum Performance. Just because there aren’t any visible signs doesn’t mean that the car shouldn’t be serviced. Saves Money : Servicing can help you save money on expensive repairs. When you service regularly, you can identify potential issues and the technician will provide a remedy before it gets outs of hand. The engine is required to be lubricated and protect the moving parts for it to function properly. Our services include checking the engine oil and advice if there is a need for replacement with the right type that is recommended for your car. Longevity : A vehicle that is serviced regularly tends to last longer. A car is like a human body. The better you treat it, the longer it is likely to last. Americans prefer to hold onto their cars for long and you won’t get the best service out of the vehicle if it is not treated well. Make it a habit to service when the car hits the recommended odometer reading. Maintaining the Value of the Vehicle : The second-hand market is very competitive when it comes to vehicles. Buyers are always looking for vehicles with a healthy servicing history. A car with a clean servicing history is likely to fetch more given the same mileage and year of manufacturer. Fuel Economy : There are a couple of ways regular servicing could save you on fuel. An example is when the tires are set to the right pressure levels, there will be no unnecessary energy expended when the vehicle is in motion. Similarly, if the oxygen sensor is not working correctly or the air filter is clogged, you might find that the fuel economy is negatively affected by up to 25%. Reliability : You don’t want the car to break down on the highway where getting for help is going to be a challenge. Follow the car manual when it comes to tire rotation and things to do with an oil change. Our highly qualified technicians are well equipped to handle any vehicle. 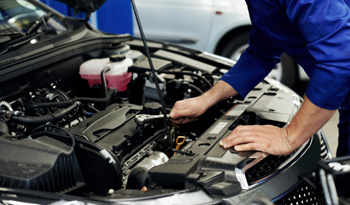 Our technicians provide full essential car care that includes safety check, oil change, and filter replacement. The service schedule will include the majority of checks which are included in the manufacturer’s service schedule. Our technicians are experts in working with all kinds of vehicles and models and you don’t have to worry about not finding someone to service your car. We only use original material when it comes to replacements and upgrades. 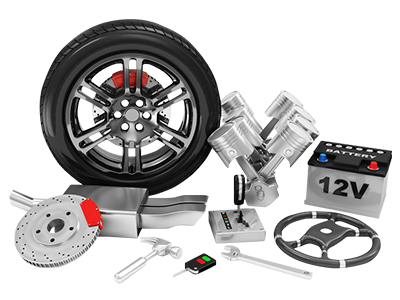 We focus only on OEM parts as opposed to aftermarket solutions for your vehicle. Servicing your car should be the least of your worries as a car owner. You should choose a dealership that understands your vehicle make and model when it comes to service.